Make Bottled Cocktails at Home | Good. Food. Stories. 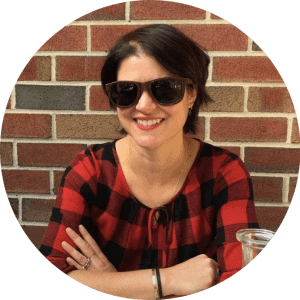 So when we sat down to dinner at Cochineal restaurant in Marfa, Texas, the drink titled “Marfa Ranch Water” was the one that caught my eye and drew me in. 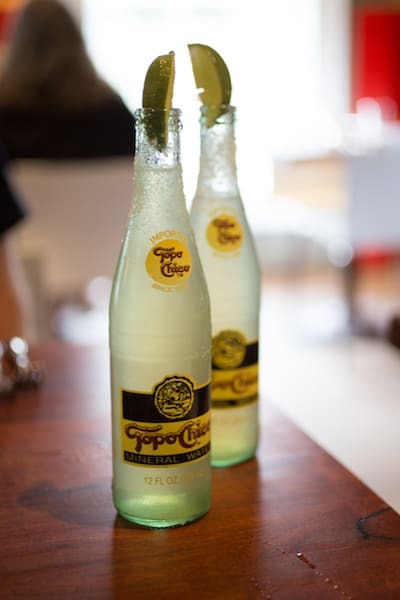 A good name and a refreshing list of ingredients—tequila, lime, and the Mexican mineral water Topo Chico—made it a no-brainer, but what I didn’t realize is that it would be presented so cleverly as well. Choosing to serve the Marfa Ranch Water cocktail in the same Topo Chico bottles that you see all over Texas was a killer move. It’s a winking nod to the locality of the drink, an acknowledgement that bartenders love the stuff so much, and a really cool presentation that makes you think of kicking back in a hammock in a backyard. And it’s something that you’ll see bars around the country doing more regularly these days. Back here in New York, the Whiskey and Cola at Porchlight, a cavernous but low-key hangout on Manhattan’s far west side, doesn’t come in a highball glass. 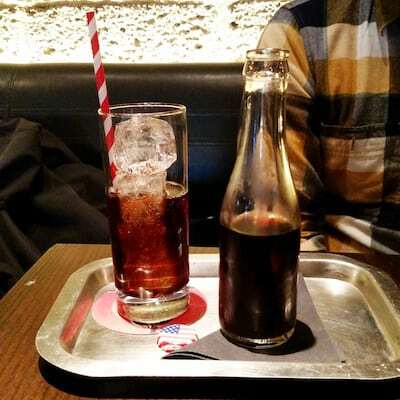 The whiskey-and-fernet cocktail is instead served in a mini Coke-style bottle that’s uncapped at the table. So how do you translate this bar trend to your own house parties? You can actually bottle your own cocktail creations à la Porchlight if you’re up for the adventure—an eye-catching idea for a big-deal event, like signature cocktails at a wedding. This requires a few small investments, namely a set of 12-ounce swing-top bottles and any labels you’d like to add. If you’re a home brewer, you can use the bottle capper, caps, and 12-ounce bottles you already have on hand; just be aware that because you’re not actually fermenting these cocktails with yeast or using a carbonator, the bubbles will dissipate within a week. Or if you’re making fresh cocktails and serving on the spot, you can do what Cochineal does and use soda bottles as serving vessels—with so many well-designed bottles on the market, what’s ON the label is often as memorable as what’s inside. Plus, you won’t have to invest in a bottle capper or your own fleet of bottles; call it intelligent recycling! Because I’ve never met a margarita I couldn’t resist, I’m offering up my own version of Marfa Ranch Water that you can drink anywhere, not just in far west Texas. The following recipe also works as a basic template for making virtually any cocktail variation you can devise. Remove 4 fluid ounces (1/2 cup) liquid from a 12-ounce bottle of soda or juice. Replace with 1 ounce (2 tablespoons) liquor of choice and 2 ounces (1/4 cup) other flavor—whether that’s another liquor like Cointreau or amaretto, fresh lime or orange juice, or other element like maraschino cherry syrup. Pour back into the bottle and serve. Pour 4 fluid ounces (1/2 cup) soda from each bottle into a measuring cup. Discard or save for drinking at another time. Pour the remaining soda into a 1- or 2-quart pitcher and add the tequila and lime juice. Optional: wet the rim of the bottles and coat with sea salt. I find it’s easiest to get an even layer of salt on the curved surface by sprinkling salt over the bottle as I rotate it over the sink. Place a funnel in the mouth of one of the bottles, taking care not to knock any salt off the rim if you’ve decided to garnish it. Get the cocktail back in the bottle by slowly pouring it down the side of the funnel—the same technique you’d use for pouring beer from the tap to reduce foam. Repeat with the other bottle. Garnish with lime wedges, if desired, and serve to appreciative guests.